SHANGHAI - Defending champion Roger Federer eliminated Kei Nishikori with a 6-4, 7-6 (7-4) victory in the quarterfinals of the Shanghai Masters on Friday night. Federer, who had won five of their seven previous meetings, came back from 4-1 down in the second-set tie-breaker to close out the match in 1 hour, 51 minutes. After going down a break in the second set, Nishikori fought his way back to level with the Swiss world No. 2 and forced the tie-breaker. Having secured the mini break, world No. 12 Nishikori looked on track to force a third set before surrendering six straight points. No. 1 seed Federer will face 19th-ranked Croatian Borna Coric in the semifinals. The other semifinal tees up Novak Djokovic against young German star Alexander Zverev, just the second time they will have met. 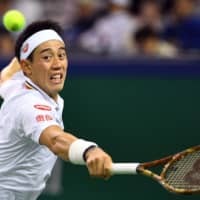 The Masters was Nishikori’s first tournament since finishing runner-up at the Rakuten Japan Open in Tokyo, where he lost in straight sets to Russia’s Daniil Medvedev in the final. The 37-year-old Federer was forced to battle through the first two matches of his title defence, first to Daniil Medvedev and then Roberto Bautista Agut. 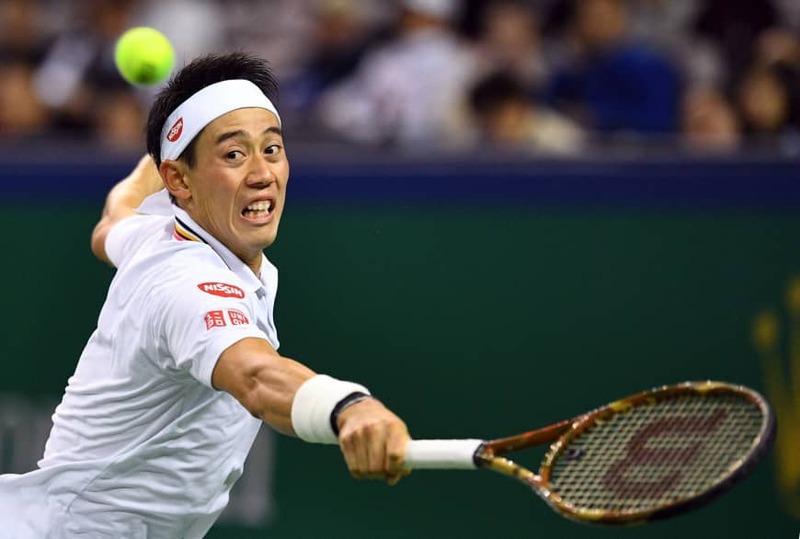 But he put Nishikori under the cosh immediately, breaking the eighth seed in the first game of both sets, though he Japanese did well to recover and force a second-set tie break. Federer had to play catch-up in the tie break and said afterwards that he was relieved to avoid another three-setter. “I saw Kei was playing extremely aggressive, especially towards the end of the second set,” said the Swiss world number two, who has been content with his form this week despite being pushed to three sets in his other two matches. Djokovic said that he was relishing facing “top player” Zverev after the 14-time Grand Slam champion beat Kevin Anderson 7-6 (7-1), 6-3.